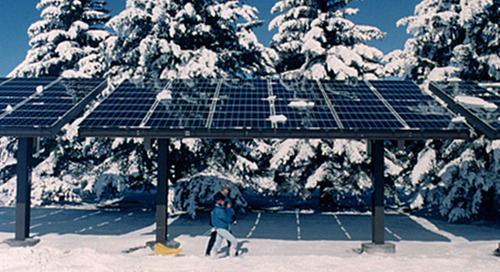 Solar battery storage systems have recently become a viable option for many commercial organizations. 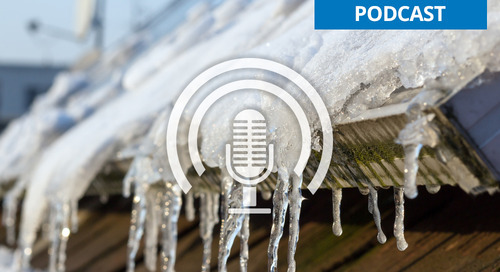 Listen and learn about how these energy storage solutions, working in coordination with a commercial solar system, can save businesses even more money than a solar installation alone. 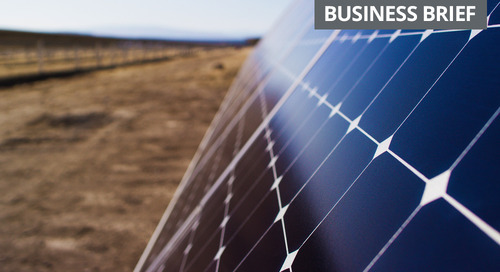 This episode of the SunPower Business Broadcast features Chris Elias of SunPower’s energy solutions team. Chris is our resident expert in commercial solar power storage technology. He shares a ton of interesting energy storage information, including how batteries work together with a solar installation and how to lower electricity bills by reducing utility demand charges. Jeff Allen: Hello, I’m Jeff Allen. 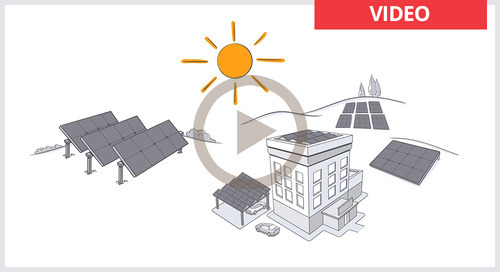 Welcome to the SunPower Business Broadcast. We all know that solar energy has been around for a long, long time—decades now, in fact—and used in residential and commercial buildings and all over the world, for that matter. In the grand scheme of things, the solar industry is still quite young. As a result, innovation is an ongoing requirement in order to continue to drive the technology forward. We all kind of understand that. Today we’re here to learn about one of the more recent developments in the renewable energy industry. 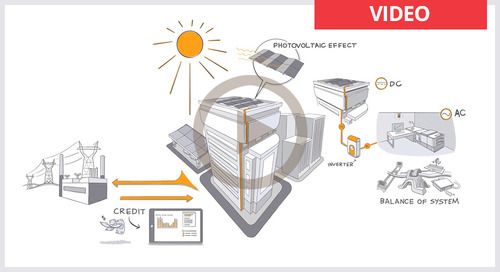 That’s the viability of using battery systems to store the energy that’s generated by a commercial solar installation. To tell us more about it and talk to us about some of the details, I’d like to welcome in Chris Elias. He is a key player on SunPower’s energy solutions team. He’s going to share some of his vast knowledge about solar battery storage as it pertains to solar for commercial applications. Chris, welcome to the conversation. Nice to have you. Chris Elias: Thanks very much. I’m happy to be here. Jeff Allen: Thinking about all the electric cars that are out there now in development—Tesla obviously comes to mind, we all know. There are others out there, of course. We can think of the Prius as kind of being the standard-setter as a hybrid vehicle and all of that. 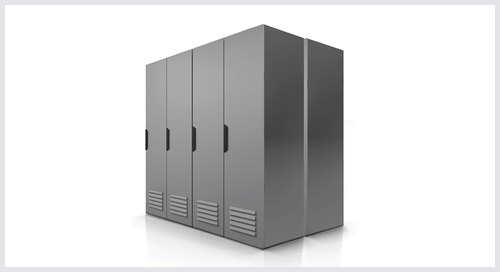 At any rate, you talk about battery backup systems—large, rechargeable, industrial grade batteries. They’ve been around for a while and been in development, it seems, constantly over the years. Why are we only now starting to see these as viable sources for storage for commercial solar energy storage? Chris Elias: For clarification, the types of batteries that we’re using for commercial solar energy storage are typically lithium ion. That’s a different chemistry than the systems that have been used for backup power historically. Lithium ion batteries are also the chemistry used in cars. The reason these are becoming cost effective now is largely due to scale. The advent of electric vehicles, their adoption all over the country and all over the world has driven volume by producers of lithium ion batteries, and that in turn has driven down costs. We in the energy industry and developers of commercial energy storage projects have been the beneficiaries of that scale, and we’ve been able to take advantage of those cost declines to make energy storage for the purposes that we use it today cost-effective. Jeff Allen: We know that you talked about scale. 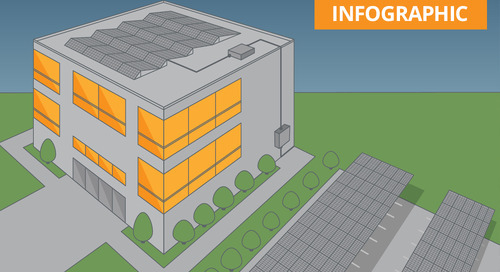 When I think about scale, when I’m considering all the various different types of commercial applications, the types of buildings, for example, that would be powered by solar, including large scale warehouses, and there are a number of those popping up all across the country—these major distribution centers and so forth—and some of them are just starting to kind of integrate solar as part of their energy requirements and needs. How big do these batteries need to be in order to power these types of buildings, whether we’re talking about warehouses or a smaller office building, for example? Chris Elias: Sure. Typically, the types of batteries we’re using for commercial energy storage applications range in size from 250 kilowatts up to a megawatt. They can provide that amount of power typically for about two hours. It’s important to note though that the purpose of these batteries isn’t to power the entire facility for that two-hour period, but rather to just power the peak energy usage of these buildings when, for instance, a major piece of equipment at a manufacturing industrial facility turns on and requires more power than it does when it’s running constantly. The battery will discharge to supply power to the facility just for that incremental usage for a relatively short period of time. Jeff Allen: Do you think at some point, Chris, that we may get to a place where the power won’t be as incremental but, rather, you’re talking about storage that could essentially continue to power these buildings and the resources inside that use this power for longer periods? 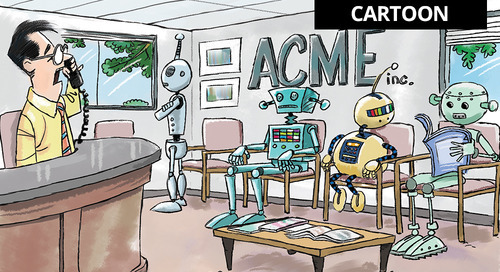 Is that technology that is being worked on at this time? Chris Elias: It’s a technology that is being worked on but would require substantial advancements both in technology capability and decline in cost, as well as, frankly, what we call energy density—which is meant to describe the amount of power that a battery of a given size can provide. The systems that we install at commercial facilities now will take up something on the order of half of a parking lot space in terms of size. To power an entire facility for any meaningful period of time would require essentially rows of parking spaces. That’s not something our commercial customers are willing to part ways with. Jeff Allen: It really just kind of all depends on the size and the power needs for the tenant of the building. I wanted to take a few steps back so that our listeners, Chris Elias, can understand how this would work. 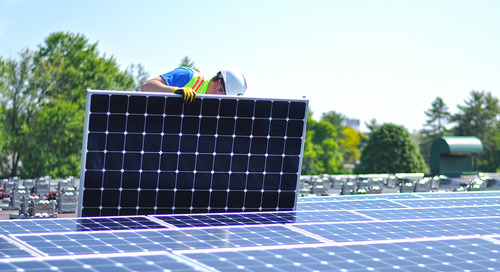 As we’ve learned in some of our earlier programs with some of our SunPower professionals we’ve spoken with, a commercial solar installation will capture the sunlight, then turn it into electricity to help offset what you would normally pull from the utility grid—from our electrical service providers in our municipalities. Can you explain to us though, in a very simplistic way, how batteries would physically integrate into that system? Chris Elias: Sure. Typically, the way we install our batteries is, physically the battery system will be located right next to a PV installation. 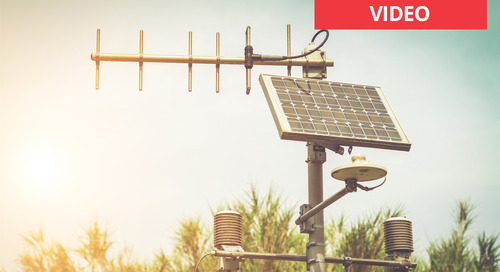 If the PV system is a carport or if the PV system is on the roof, we’ll locate the battery relatively close to the building so that the lines that bring power from the battery to the building will tie into the lines that bring solar from the solar system to the building at roughly the same place. Then, a really important part of batteries is the software that operates them; meaning, the software that sends signals to the battery telling it when to charge and discharge. 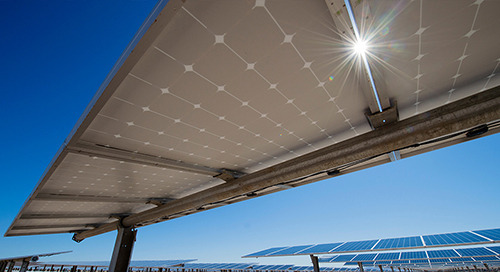 When we provide a battery system to our solar customers, that software will monitor when solar is producing and charge the battery from solar production, and then the software will also make the determination about when it’s most advantageous for the battery to provide power to the facility, to maximize the utility bill savings that customers can achieve by virtue of having the battery system installed. Jeff Allen: So these battery systems are used as storage to provide—that essentially what we’re talking about is—backup power in the event of power loss or failure due to a storm or some other kind of incident, whatever that might be. 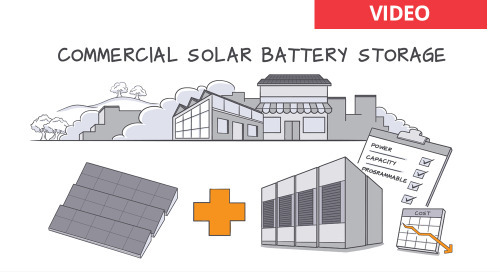 Just out of curiosity, are batteries as storage solutions necessarily a requirement for all commercial businesses? What are certain factors that we should consider as business owners, for example, operating these buildings where our manufacturing plants might be our offices, whatever the case may be? What are some of the factors that we need to take into consideration that may make a battery storage solution right for us or to determine whether or not we may not need it at all? Chris Elias: Sure. I want to clarify the purpose of the battery. The battery, when we compare it with the solar system, is not meant to provide power to a commercial customer’s facility when the power goes out. It’s not a backup system. Chris Elias: What the battery is used for is to, as I said earlier, provide power to the facility when the facility’s energy usage is peaking above its usual level. Chris Elias: The reason that’s valuable is that customers pay something called a demand charge to the utility. In addition to paying for all the energy that the utility provides, they also have to pay the utility for the wires that the utility runs out to a commercial building. 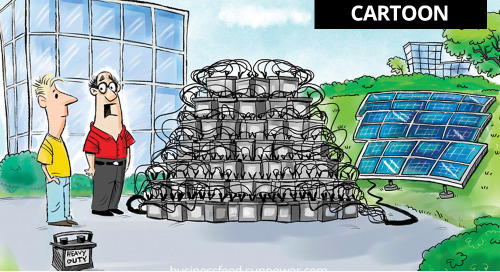 The utility has to size those wires so they can serve the customer based on the most energy they’d ever use at one time. To use an example of a hotel, for instance, assume the hotel is running at sort of a steady state in terms of energy usage most of the day—air conditioners are running; restaurant equipment is running; the cashier’s computers are running—but then around check-in and check-out time, there’s a burst of energy usage when a lot of people are using elevators at the same time. Or, when everyone gets up in the morning and turns their hair dryers on, there’s a burst of energy usage associated with everyone using their hairdryers. What the battery will do is, when that energy usage, because of elevators or hair dryers, creates a spike in usage at the campus or at the facility and reduces the maximum amount of power that a building will use at any time, and that’s how we can help reduce these charges which I referred to called demand charges that commercial customers pay. Jeff Allen: Well, that really sets the record straight then on providing backup power. The batteries aren’t intended for that sort of thing. It’s not like they’re taking the place, for example, of a generator. It’s a much different situation than that. That really does help to clarify it, Chris. I appreciate you bringing that up. Let’s talk about those considerations we need to make to determine whether or not battery storage is right for our particular business. Chris Elias: Sure. There are two main factors we consider. One is, the level or the amount of the demand charges that a customer pays. As I said, the customer will pay the utility a fixed amount each month based on the most energy they used at any time in the month. What the utility will do is go back and read the customer’s meter for every fifteen-minute period during that month and say, "Okay. At 4:15 on August 8th, you used a megawatt of power." Maybe for the rest of the month, you were only ever using half that; but you’re going to pay based on that megawatt of peak consumption and you’re going to pay a dollar amount per kilowatt. For a one megawatt peak, if your demand charge was $20, you would pay 20 x 1000 kilowatts for a $20,000 monthly expense. We look for customers with very high demand charges—typically $15 or more. A lot of customers in California have demand charges that high. A lot of customers in Northeastern states like Massachusetts, New Jersey, Connecticut and New York have demand charges that high. The other thing we look for in addition to the high demand charges is what we call a "spikey load." I gave the examples of hotels before where you have very periodic short bursts of energy usage that cause your maximum usage to peak. Elevator usage at a hotel is an example. 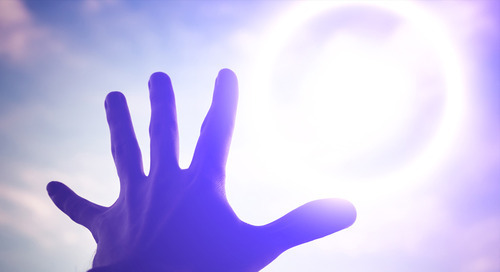 A printing press will run at a very constant level of energy usage once it’s on but when you turn that piece of equipment on, it will have to use double the energy that it typically does. That short burst of energy when you’re ramping up the printing press causes you to set a higher peak than you otherwise would. By contrast, a data center which runs servers at a relatively constant level of energy usage 24 hours a day is a terrible candidate for batteries because the energy usage doesn’t vary enough for the battery to be able to find those peaks and discharge and reduce those demand charges. High demand charges and spikey load are the two main characteristics we look for in a good candidate for battery storage systems. Jeff Allen: So obviously, as we can understand or extrapolate from your explanation there, it’s really bringing down those demand charges, those spikey load charges, I guess you can say, where the amounts contributed to spikey loads, the costs, that can be significant for some organizations and that would really necessitate the need, I would think, certainly the concern for, maybe the fact that battery storage is really the right solution for that particular business. We’re talking with Chris Elias. 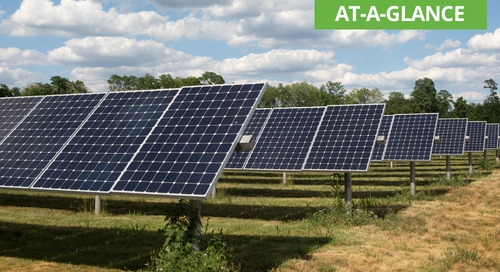 He is an expert with SunPower in the area for battery storage for commercial applications. Chris, you’ve been terrific to share some of your time today. I’m really enjoying this conversation with you. Are there some situations where maybe these high demand charges aren’t necessarily the case but maybe were nevertheless a business may want to consider battery storage, for whatever reason. Maybe there are some other reasons or some other determining factors that a business may use to consider whether battery storage is right for them? Chris Elias: The types of batteries—this lithium ion chemistry that are typically sold for commercial customers and businesses—reducing these demand charges is the main application. There are unusual circumstances where, if a customer is installing a solar system and the utility puts a limit for some reason on the amount of solar that they’re allowed to install because of grid stability concerns, we have been able to add a battery storage system to that PV system and charge the battery from solar when it exceeds the amount of production that a utility would let an onsite solar system produce and use that power later in the day. Those are really great projects. We’re able to really meaningfully increase the amount of solar energy that we’re able to provide to a customer when we encounter those situations, but the circumstances under which a utility will sort of create that restriction on solar production are a little bit unique. You see it a lot in Hawaii and we’ve seen it in other unique situations where a customer is located on a particularly fragile part of the utility grid. Those are a bit of a niche application. The main application is this demand charge management application that we’ve found customers to really be interested in. Jeff Allen: How do companies actually pay for or purchase these battery storage solutions? 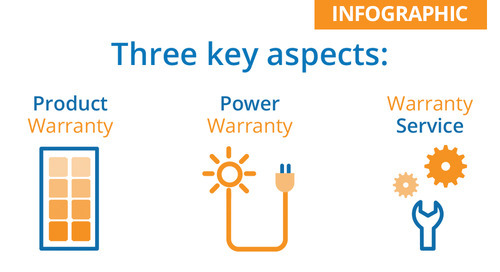 Are they able to buy these systems outright from companies like SunPower, for example? Are they able to use maybe some other means of financing that are popularly trending in the industry today like leases, for example, such as leases that one would use, for example, to purchase equipment for their office or for their business? Chris Elias: In general, customers are able to buy the battery systems, if they would like to own them and collect the savings that result from demand charge savings based on the battery system they own. 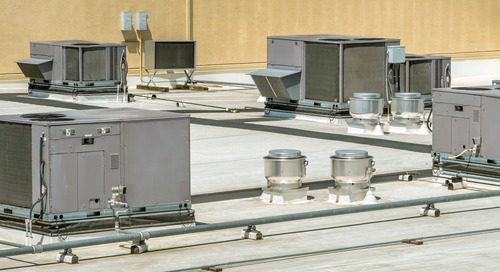 Vendors in general are also generally able to finance these storage systems under a lease where the customer will make a fixed monthly payment for the battery and the vendor will provide the equipment, put up the capital to install the system, and then the customer will make the fixed monthly payment. The idea that the demand savings the battery creates exceeds that fixed monthly payment and the customer is able to benefit from that net savings. Both cash purchase options and financing options are generally available in the market. One thing that’s important to note is when companies like SunPower that provides solar and storage together, finance these systems on behalf of their customers, we’re able to take advantage of the same federal investment tax credit that is available for solar systems and apply it to the battery as well, which helps us offer battery systems to customers at a lower cost than we would be able to than if the investment tax credit wasn’t available—for instance, if you bought the battery system on its own. Jeff Allen: What would be interesting to know, Chris, really is how long these batteries last. 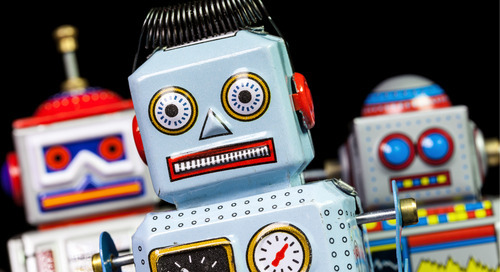 I know here around the house, I’m replacing batteries, it seems, every three weeks—in the kids’ toys, maybe in some of the electronics that we have here around the house—television remotes, for example. When it comes to the storage batteries for these commercial solar installations, how long can they continue to be used? Have they even been around long enough for us to even have any idea about how long they can last? Chris Elias: These batteries will last much longer than the batteries in your laptop computer. That’s the good news. Typically, we estimate that the batteries we install today will have a useful life of at least ten years. Most major suppliers of these batteries will provide a warranty with coverage that lasts ten years. That is based on a lot of testing that we have been able to do on lithium ion chemistry in laboratories and in other real world applications to give us a pretty good sense of how long these batteries will continue operating so that they can provide the types of savings that we have promised the customers. Jeff Allen: Just thinking about it—all that combined that you just discussed in terms of savings—that storage solution could rapidly pay for itself in a very short course, making it a very smart decision indeed for that particular company in question. Chris, last question here. Let’s kind of hop in our time machines and transport ourselves decades into the future when the batteries no longer work or you need to decommission the entire solar installation. Given the concern in requirements around the disposal or recycling of what are relatively tiny batteries at that point in time—we’re thinking maybe in the future—like in cell phones and laptops, for example—how does someone get rid of these big batteries that we’re talking about for commercial storage? I would imagine that there are some concerns and there’s obviously a lot of work being done to kind of help come up with the right answers but maybe you’ve got some for us right now. Chris Elias: I’ll say in general, whether a customer purchases a battery system outright or uses a vendor to arrange financing so that they lease a battery system, vendors like SunPower and other suppliers of solar or storage will take on the application to decommission the systems, remove them from the customer’s facility, and then there are recycling programs that are available through battery suppliers where they can take advantage of some still very useful materials in these battery systems to make the next generation of batteries for the next products that will roll off the assembly line so that they can be used more in the future. Jeff Allen: Chris, on that note, we’re going to have to cut things off here. This has been just an outstanding conversation, very insightful. We’ve learned so much. I want to thank you so much for taking the time to educate us on what sounds like an exciting and very promising development in the solar industry. I know that I said “the last question” just a few moments ago but really, before we let you off here, is there anything else that you can think of that our audience should know about battery storage or consider before investigating more thoroughly on their own? Chris Elias: I think the main focus should be on these demand charge applications. That’s really the ways that batteries today can create value for their customers. With any major capital investment decisions, companies should do their diligence on the vendor they’re purchasing this equipment from and the equipment itself. This is a really promising technology that has the opportunity to add a ton of value to customers who are already investing in solar if they expand the scope of their investment to include these battery systems. 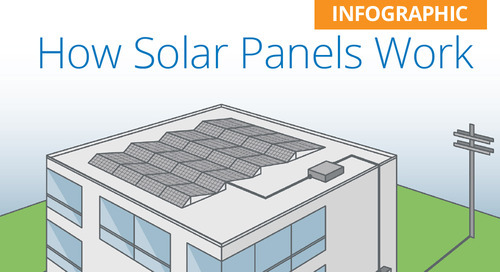 We’re very excited about it here at SunPower. I think it’s going to be an important part of the industry for years to come. Jeff Allen: On that note, Chris, we’ll leave it right there. Thanks again so much for joining us today on this SunPower Business Broadcast. It’s been a pleasure. Chris Elias: Absolutely. Thanks for having me. Jeff Allen: That’s Chris Elias. He is an expert with SunPower, really helping us to get a better understanding of storage systems for commercial solar applications. I hope that you enjoyed our conversation. 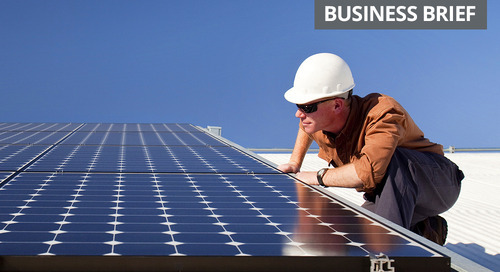 We’ve come to the end of another edition of the SunPower Business Broadcast. This is kind of the sad part. We have to kind of say goodbye and bring things to a close. Remember though, the neat thing about this program is that you can find all of our podcasts along with a bunch of other information on sustainability, renewable energy, and of course the solar industry simply by going to the SunPower Business Feed at BusinessFeed.SunPower.com. Until next time, we invite you to join us in helping to change the way our world is powered. I’m Jeff Allen. So long for now.